Automobile wrecks are the most common and potentially most devastating type of accident in our country. Every day in Georgia, lives are changed in a fraction of a second due to a wreck on the road. Wrecks happen when drivers are careless and not paying attention to what they are doing. Wrecks happen when drivers are reckless and take chances with their lives and the lives of other innocent drivers. Speeding, running red lights, turning in front of others, and driving while drunk cause serious and often catastrophic or fatal injuries. Thornton Law Firm helps those injured in automobile wrecks recover compensation for their injuries, and return to the life they enjoyed before tragedy struck. We investigate each case diligently by contacting eyewitnesses and, if necessary, hiring the best accident reconstruction expert witnesses. After establishing liability for the wreck, we prove your damages for medical bills, lost wages, permanent injury, and loss of the enjoyment of life. Our job is to help you get through the tough times and get your life back. We will aggressively pursue your case and fight for your legal rights and right to full compensation for your injuries. 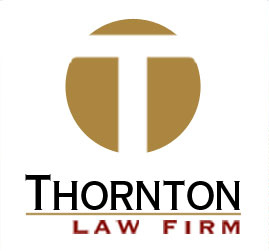 Steve Thornton of Thornton Law Firm has obtained significant recoveries in many Automobile Wreck cases. To review several of these cases, visit our Verdicts page on this web site. Contact us for a free consultation of an Automobile Wreck case – we are here for you.